Before moving to Canada, it’s the extremely cold temperatures that have most expats quaking in their boots! The Canada winter months are famous their subarctic conditions, so it’s only right to make sure that you are fully prepared before relocating to your new home in Canada. If you happen to be moving to Québec City, you may already have hear that a Quebec winter is one of the coldest in Canada. 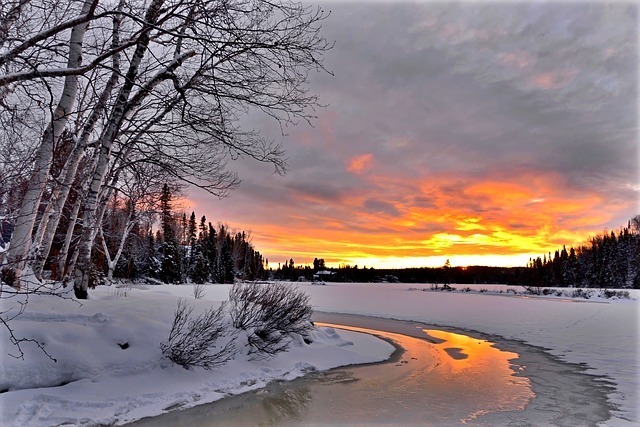 As a province, Quebec is Canada’s second coldest province with around 400 cm of snowfall each year and average winter temperatures as low as -16°C. Don’t let this scare you though! So long as you have read our guide on how to prepare for winter in Québec City, including survival tips on getting your home, car, and wardrobe ready, you’ll be just fine. If you’ll be using a fire to keep warm, clean it regularly and make sure it is well ventilated. If you are using space heaters to keep warm, make sure they have an overheat sensor and work on a timer. These tips will prevent any house fires from happening, which can be unfortunately common during winter months. To avoid any pipes freezing over during the cold, run hot water through all of the pipes every so often to keep them nice and warm. And if you have to go away for more than a few days, ask a neighbour or friend to occasionally check on the temperature in your house. Use salt to clear any snow from your drive or paths to prevent slipping on the way in and out! If a power cut happens, first call the electricity provider Hydro Quebec to report the issue. Have some torches around the house with spare batteries, as these are safer and easier to use than candles. Also, to prevent short circuits when your power returns, unplug all devices in your home. Invest in a good quality ice scraper and snow brush (ideally with adjustable handles). Keep these in your vehicle so you can remove any snow that has built up on it. Also invest in a nice warm blanket, a traction aid, and a small shovel as a kind of ‘emergency kit’ to keep in the car in case you ever get into trouble. Don’t forget to add in a phone charger too, as you never know when you might need it. Have good rubber floor mats inside your car to keep any moisture or salt stains out. Work out a route plan ahead of time and include steps for what to do if you get stuck. This sounds scary but preparation is the best prevention! Try to always have a full petrol tank. Of course, sometimes you may be far from the next petrol station, so it’s good to top up whenever you see one. Another, perhaps less obvious, reason to keep your tank full is that the heavier your car is the more traction it will have on the roads. Never use cruise control on slippery roads! Always replace a windscreen that’s chipped to prevent it cracking, and never pour hot water on it (no matter how much of a rush you are in). Invest in a winter coat that’s water proof, made of synthetic fabric designed for withstanding negative temperatures, and lined for extra warmth. Your coat shouldn’t be too short (¾ length), should have a collar that goes up to the nose, and good hood. Zippers are always better than buttons. Master the art of layering. Wearing lots of warm but light layers is much better than wearing just a few thick ones. You need snow boots. This is non-negotiable! Avoid high heels or trainers and opt for a great pair of thermal boots with non-slippery soles and warm linings. If possible, buy half a size or a size bigger because you’ll need room for your toes when you’re wearing thick socks! Don’t wear your boots inside (bring another pair of shoes if necessary), otherwise your feet will get cold when you go back outside in them. Mittens are much warmer than gloves. Go for thick wool mittens or leather gloves lined with some kind of fur. Don’t forget your hat! You lose most of your body heat through your head, so getting the right winter hat is very important! A hat that covers your head and neck (like a hat and scarf in one) is probably the best option as it will keep your ears and the sides of your face warm too. 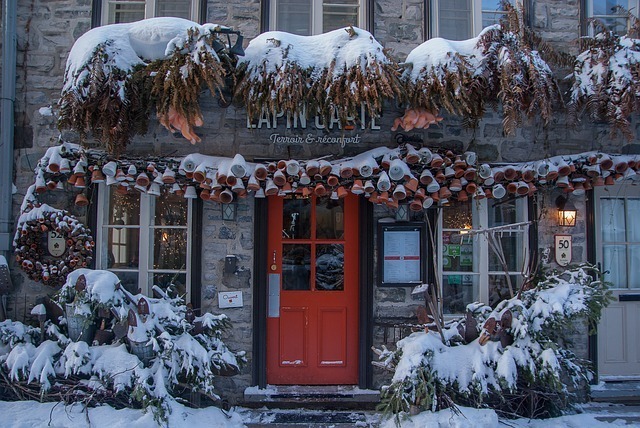 Preparing for and embracing a cold winter is part of living in Québec City, Quebec province, and Canada as a whole. Rather than making it the scariest part of your move to Canada, make embracing winter the most exciting part! Canadians are proud of their winter culture, and you making an effort to adapt a Canadian winter lifestyle is a great way to show you’re putting effort into assimilating to your new culture. Winter will be a great way to get to know your new home and neighbours in Québec City – you won’t regret it, and you’ll grow to love it! If you’re moving to Canada, you’re going to need an international removal company to send your belongings efficiently and safely. We have been helping people emigrate to and from Canada for decades, so we have become one of the leading Canada removal companies. Contact our friendly, experienced team today and they’ll be happy to let you know how Anglo Pacific can make your move to Canada as great as possible.